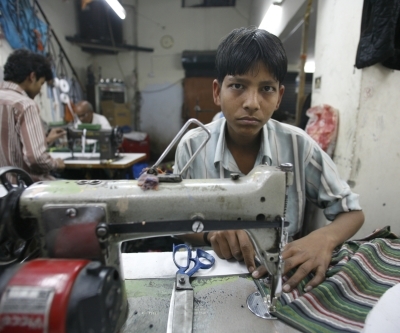 The Times of India reports that India’s Cabinet finally prohibited the employment of children under 14. Furthermore, children in the age between 14 and 18 are only allowed to work in non-hazardous workplaces. Until now, India's Child Labour (Prohibition and Regulation) Act, 1986 permitted children under the age of 14 to work in "non-hazardous industries" including some agricultural work, in contravention of the Right to Free and Compulsory Education Act which says that all children between 6 and 14 must be in school. The Child Labour Act will now be amended to ban all work for those under 14. Children between the age of 14 and 18 have now been termed in the amendment as "adolescents" and can only be employed in non-hazardous industries. In addition, the government will now have to rehabilitate adolescents engaged in hazardous work, including mining. "A task force with representatives from the ministries involved is working on this, and the National Child Labour Project will be upgraded," Pandey [joint secretary in the ministry of labour and employment] said.